AWESOME IS THE LORD MOST HIGH!!!! “How awesome is the Lord most High” … this line keeps resounding in my head & became my LSS (Last Song Syndrome) right after the National Assembly. It makes me believe that I was so high with the music of the Lord. Not just me, but I think everyone else in the event was taken by storm with this assembly. Such a wonderful feeling, such a lovely day, such a rewarding moment it was! Awesome is the Lord most High! The 188 attendees & counting, all Praised to the Lord almighty for arranging our entire schedule in this memorable gathering of Coming & Going in Christ. This was the topic on this day. Our speaker, Tito Raymon presented these two ways that our faith has to go through, he then presented the subject in a manner easily understood & reflected. Let’s start with “Coming”; Sub-topics are: Coming to Christ, Following Christ, Resting in Christ & Faith in Christ are the factors that has left everyone into the thought of why are we coming to Him. To pursue Him is to give up all our comforts, to deny & willingly submit or surrender our self to the Savior. Jesus said in Luke 9:58 “Foxes have holes and birds have nests, but the Son of Man has no place to rest”, it makes me reflect that we, as his servants ought to follow his ways as we aim to be Holy like Him. Thus following him entails a lot of prayer, personal relationship & an expectation that with his grace may our faith be greater than anything else in life. May we have that expectant faith of moving mountains, of walking into the sea like Peter or that of a child. 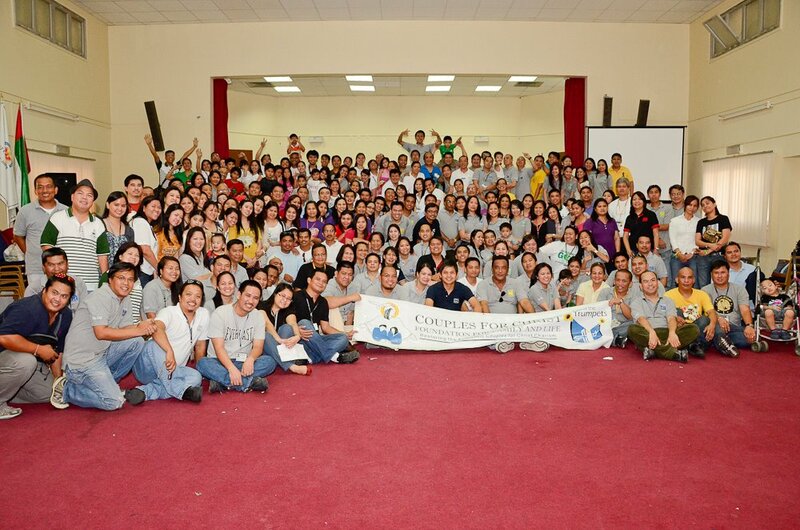 Commitment to Service, Work of Evangelization & Work of Formation, these are the 3 that comprises our “Going”. Often we compare ourselves to a glass, we fill our lives with our “coming” and when we are full, it is worth enough to do our “Going”. This is the time when we give back what we have gained. “Without cost we receive, without cost we have to give”. As reiterated by our speaker (Tito Raymon) “We are not friends, we are more than that, we are Brothers & Sisters in Christ.” And as a family we experience the normal process or relationship each family has been through. At one time were bonded, at one time we are happy, at one time we also have our misunderstandings, but then at the end of the day, we still run into each other, as we know that no one else better but those who are members of our family. May we instill in our hearts that being in this community is not about seeing the negative things of our neighbors, but the focus should only be to our Savior. Our Sharers: Brother Aladin, Sister Cecille, Brother Gerome & Sister Jenny, Brother Paul & Sister Vidalyn had their moments in inspiring & sharing their lives to inspire more people! One of the most exciting parts of every General Assembly is the Praise & Worship time. The time when our limited words are transformed into music and lyrics that simply represents our thoughts & emotions. The time when we can express everything that we would want to say to Him, the time when we sing, dance, cry, laugh, smile in our heart & become Crazy for Christ! The time when the Holy Spirit praises with us all for His Glory! Praise Feast Moment: Ignoring the heat, our Hearts Rejoicing, Praising, Glorifying, Honoring HIM! ABU DHABI Music Ministry: His majesty has bestowed upon these servants the grace & blessing of the talent of singing, not only that, He has also blessed CFC-FFL Abu Dhabi with the new instruments. May we use these blessings all in exulting Him glory! This event was hosted by the energetic couple Brother Manny & Sister Jacque. A group sharing was also done in discussing our “Coming & Going” in the community. While in my group this line from Brother Mervin (SFL-AUH) has struck me “Service is the Rent we pay for our life on Earth” Indeed so true! There is nothing else we can do to surpass God’s gift of life to us, but simply by following & serving him, in our case, Evangelization is the best way to serve him & spread his good words! I do believe that during that sharing we all have our own lines/statements that somehow affix in our mind & heart. Birthday celebrants & Couples celebrating their anniversaries have been prayed over & some additional announcement has been advised by our Country Servant Bro. Luis Portugal. May every Assembly be an inspiring day to each member & be an event to look forward to for more Spiritual blessings! May the Almighty God, Awesome & Great be praised!